Meet the 150KG TRIBE Active Bumper Stack. TRIBE Active’s Bumpers are built with performance and durability in mind – perfect! Competition colours have been added to give a knockout appearance. The 5KG plates have added strength around the central collar bevel without compromising performance. TRIBE Active’s Bumpers are built with performance and durability in mind. 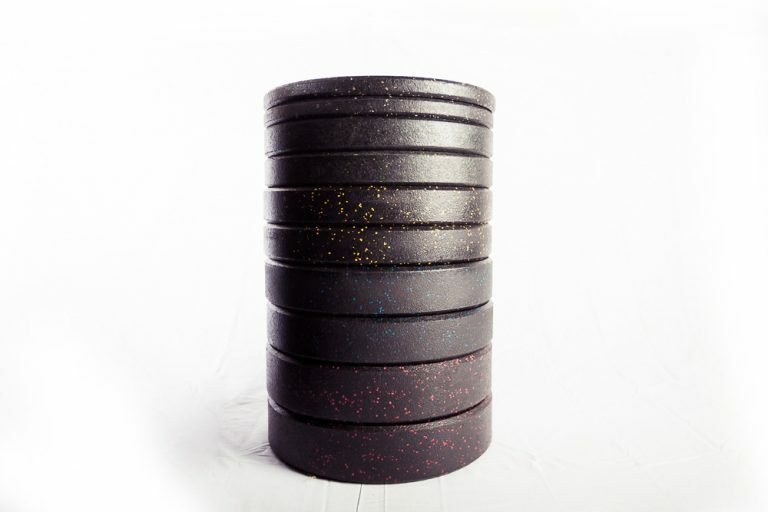 The High temp rubber and wider circumference for durability during frequent repetitive dropping during WODs or heavy loading during olympic lifts and power lifts. The 5KG plates have added strength around the central collar to prevent them bulging or falling apart without compromising the performance and feel of them on a barbell.